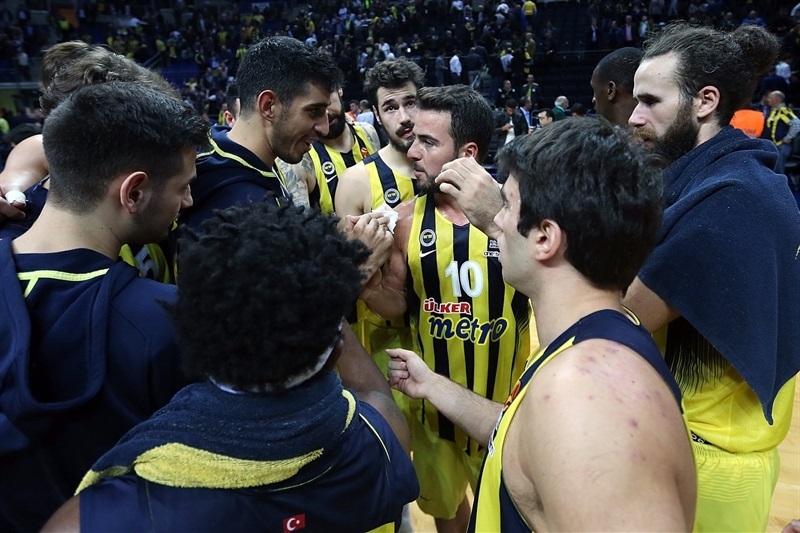 Fenerbahce Istanbul remained undefeated and joined CSKA Moscow atop the standings by downing Zalgiris Kaunas 82-68 at home on Wednesday. 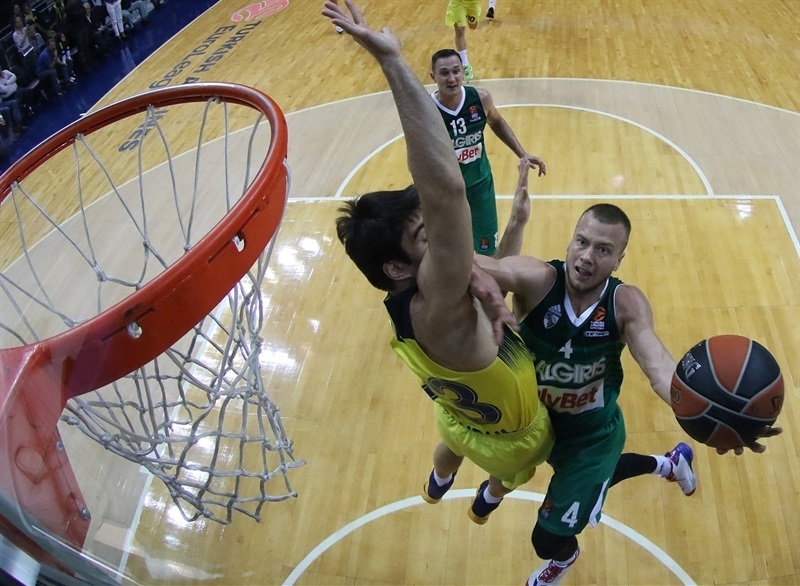 Fenerbahce improved to 3-0, while Zalgiris dropped to 1-2. 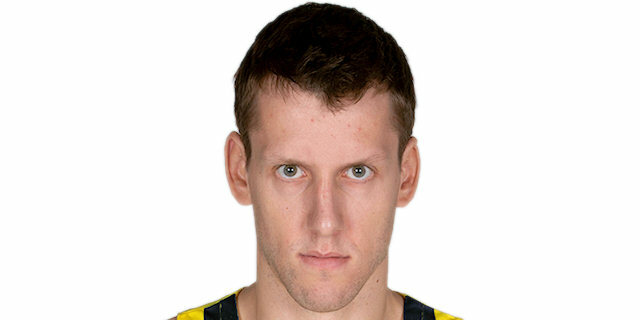 Ekpe Udoh and Jan Vesely led the winners with 14 points apiece. Udoh added 8 rebounds while Vesely made 8 of 8 free throws. 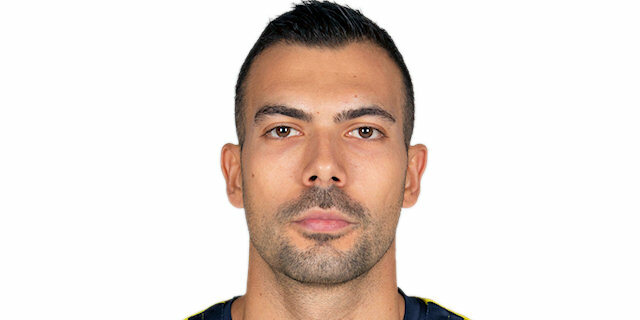 Pero Antic added 11 points, Bogdan Bogdanovic scored 10 and Kostas Sloukas dished 11 assists for Fenerbahce. Leo Westermann led Zalgiris with 15 points, Brock Motum scored 14 and Arturas Milaknis 10 for the guests. Despite being outrebounded 23-26, Fenerbahce hit 21-of-22 free throws (95.5%) and had 22 assists to just 11 turnovers. 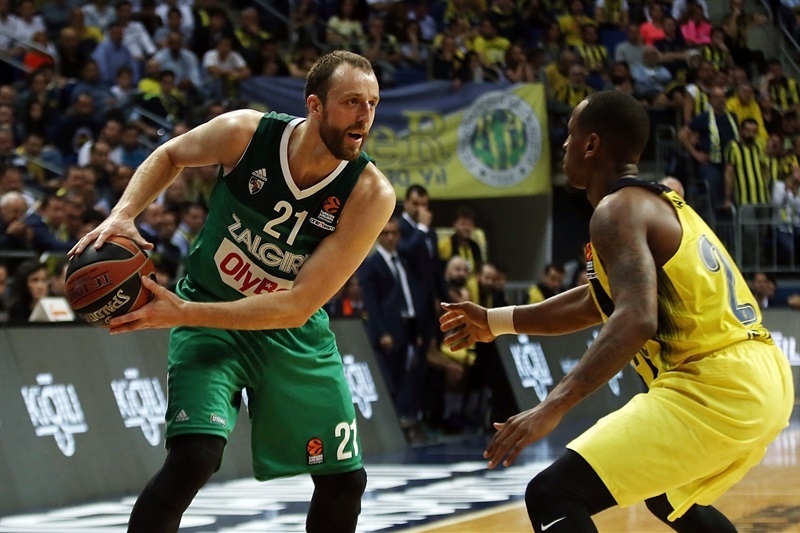 Fenerbahce limited Zalgiris to just 26.9% three-point shooting (7 of 26) while hitting 47.4% of its shots from downtown (9 of 19). Back-to-back triples by Westermann gave Zalgiris an early 2-6 lead. 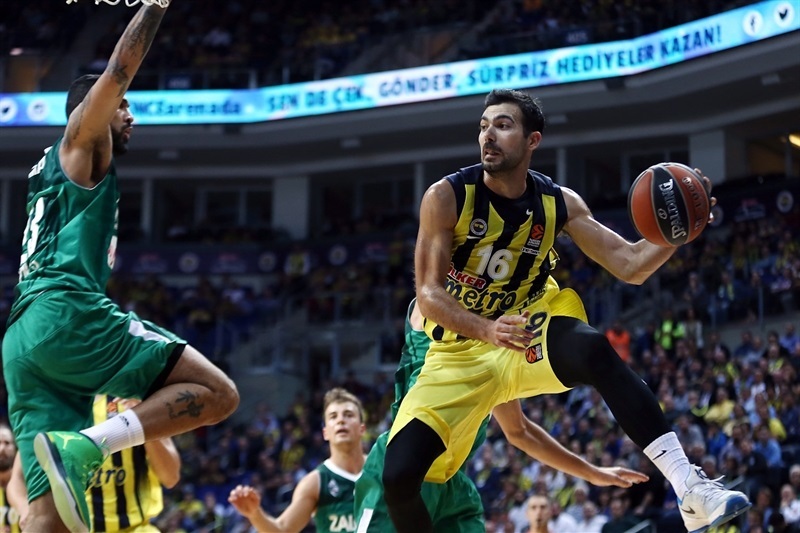 Luigi Datome and Antic answered from downtown to put Fenerbahce in charge, 10-8. Kevin Pangos stepped up for Zalgiris and Motum followed a layup with a corner three-pointer to restore an 18-19 Zalgiris lead. 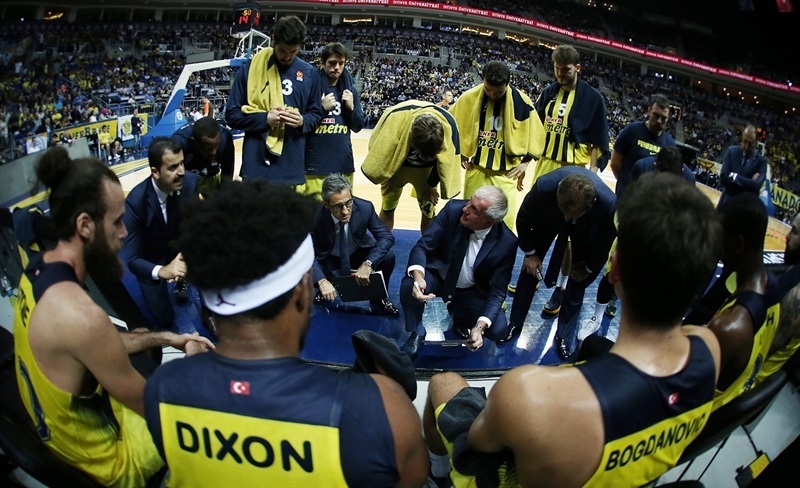 Both teams kept scoring at full speed, but back-to-back baskets by Bogdanovic, a jumper by James Nunnally and an alley-oop layup by Udoh gave Fenerbahce a 28-24 edge after 10 minutes. A three-point play by Antanas Kavaliauskas and a driving layup by Westermann brought Zalgiris a bit closer, 32-29, early in the second quarter. 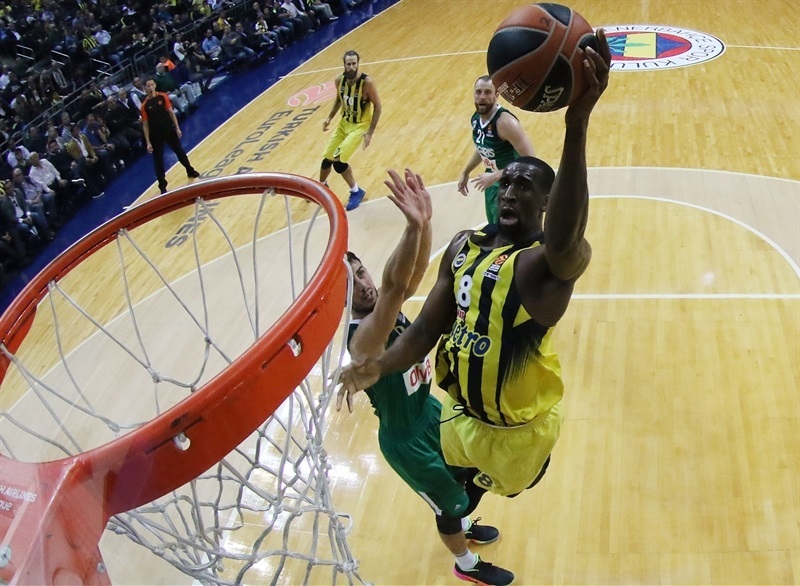 Fenerbahce found a go-to guy in Udoh, who scored three times around the basket to boost his team's lead to 42-34. A triple by Motum and a close basket by Bogdanovic fixed the halftime score at 44-37. A three-point play by Westermann and a corner three-pointer by Milaknis caused Fenerbahce to call timeout at 49-45 soon after the break. 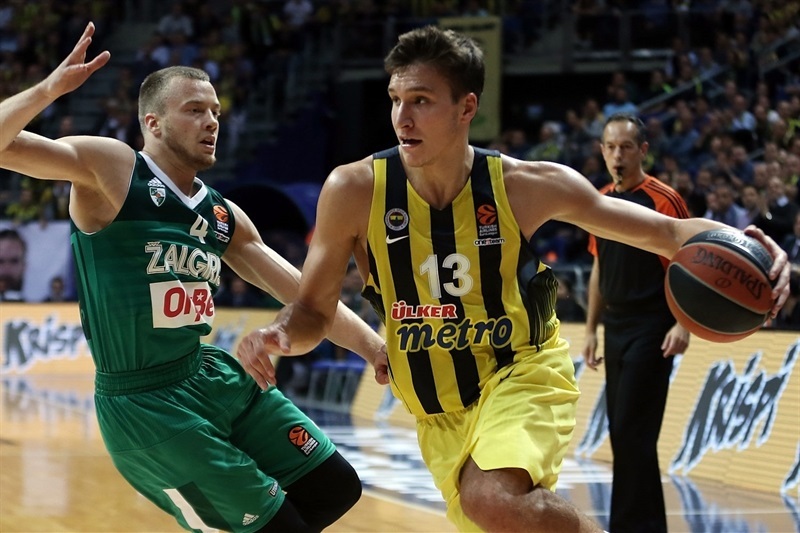 Bogdanovic stepped up with a layup, but soon left the game with an ankle injury. Sloukas struck from downtown to make it 55-47. 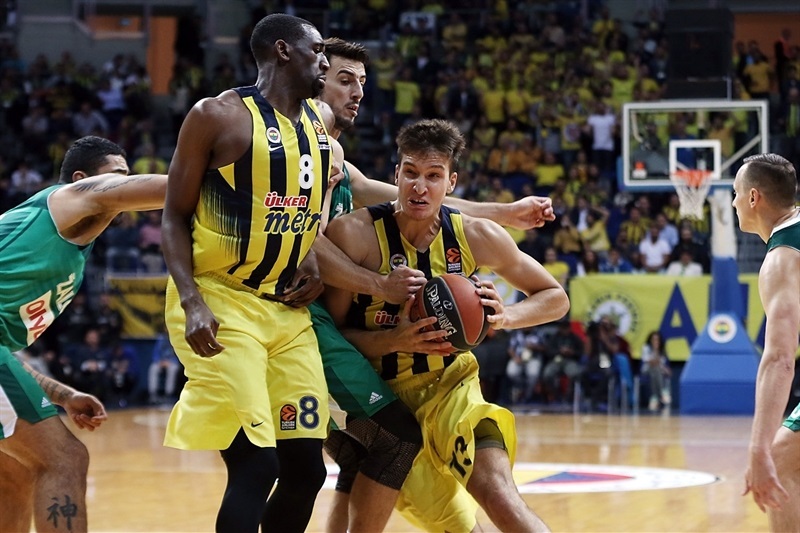 Udoh dunked and Vesely hit 6 free throws to keep the hosts ahead, 63-56, after 30 minutes. 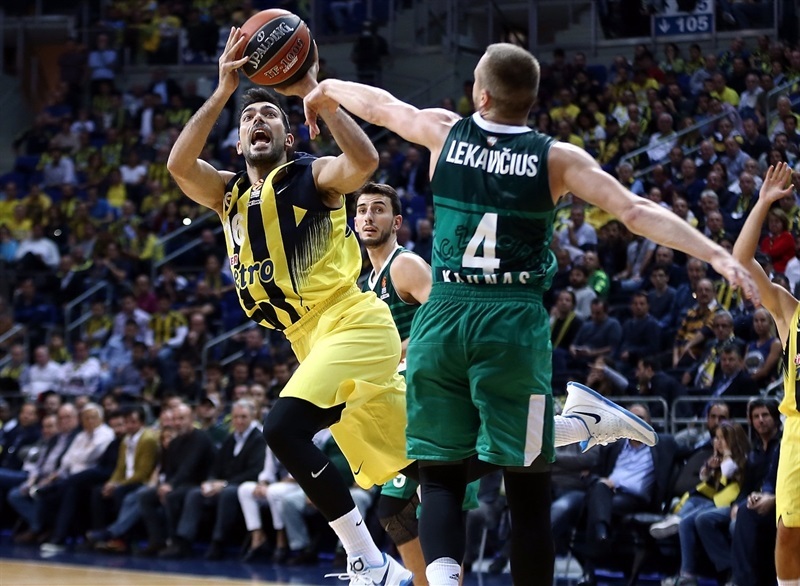 Vesely kept pacing Fenerbahce with a huge alley-oop slam early in the fourth quarter and free throws by Sloukas made it a double-digit game. 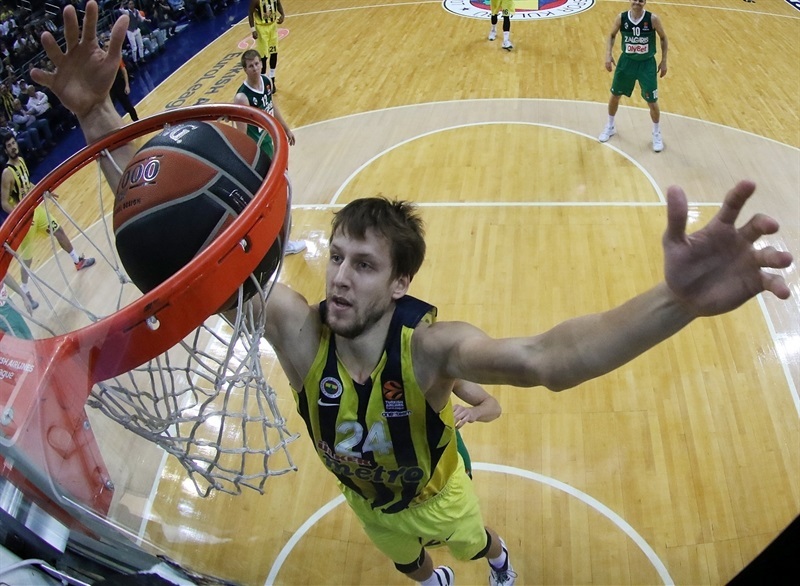 Vesely got help from Nikola Kalinic and Nunnally to break the game open at 74-59 midway through the fourth quarter. Nothing changed from that moment and Fenerbahce kept full control of the game until the final buzzer. 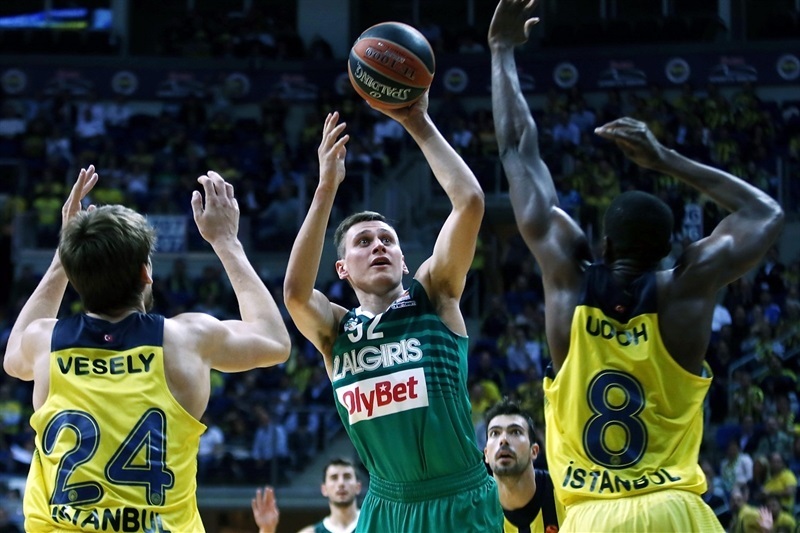 Both teams play again on Friday - Zalgiris hosts Maccabi FOX Tel Aviv while Fenerbahce visits Galatasaray Odeabank Istanbul, in what will be their first-ever head-to-head showdown in European competitions. 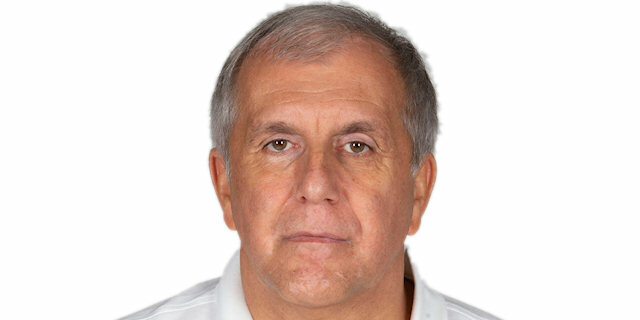 "We played against a Zalgiris team which was some experienced and young players. A team that plays with big energy offensively and defensively. They always try to run and push the ball. They play with a lot of passes and move really well on offense. We talked before the game and understood it was going to be a difficult one. They are the best rebounding team in the EuroLeague and until now, they averaged 18 offensive rebounds. This aspect of the game was very important and today they got 11. It looks like a big number but compared to previous games, it is okay. One more time, we played very good defense expect in the first quarter. Our defense was very good after that and I believe what we must change is our offense, because after some good defenses, we had the opportunity to run and try to play in transition. With so many games, you don't have time to practice. I don't want to cry but this is the real situation. However, it was a very important victory for us against a very good team. 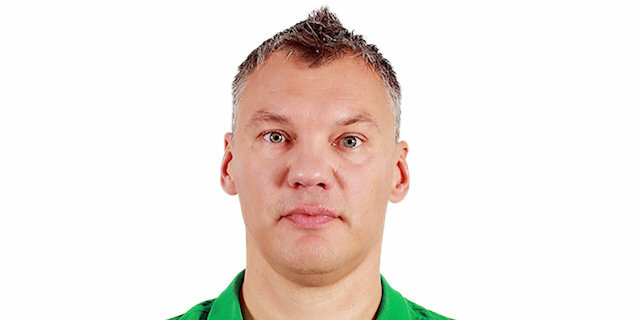 I am happy that my friend Sarunas [Jasikevicius], who also played here, was so welcomed by our people. One more time, thanks to our people for the basketball atmosphere." "First of all, congratulations to Fenerbahce. It is very difficult to play against this team, which is well-prepared and has a lot of size and athleticism in the lane. I think that was the biggest difference together with the fact that we had advantages in certain places and didn't take advantage of them. In general, I am happy with the fight, but we have to pay more attention to little things, and we had some problems." "We had some problems on offense and worked a lot [on them] in previous days. I think we are improving in this part of the game, which is very important. 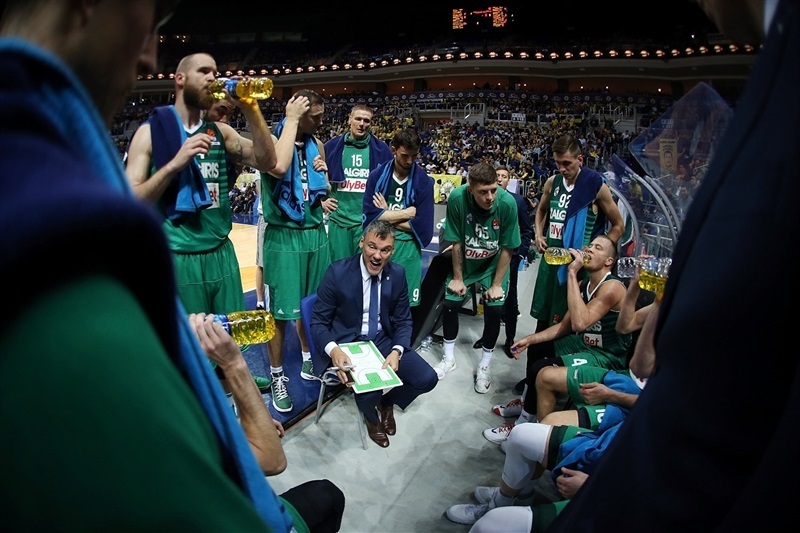 Zalgiris is always a solid team that plays well, in the same way at home and on the road. We were prepared for the game. I am happy because we were able to control the game. We played a solid game, are 3-0 now and go to play against Galatasaray with this record." "It was a tough game. Zalgiris is a great team that fought for every possession, but we stayed focused and fought for the ball on both sides of the court. It will be tough to play against them on their court, of course, but we have to rest and get ready for the next game. The key point of the game? We started sloppy, but after that, we came back and played focused until the last second."